We have a dedicated medical unit and a team of staff members with a first aid qualification on duty during the entire school day. A student who is unwell should approach a teacher who will arrange for him/her go to our Main Reception, from where first aid support can be requested. Students may go themselves to the medical unit at break or at lunchtime, if this is not staffed they are to go to Main Reception. Our First Aiders will either deal with injuries directly or request Emergency Services if needed and parents/carers are notified when necessary. If hospital attention is required the school will contact a parent/carer to arrange this with them. In an emergency situation the school will arrange to transfer the student to the Accident and Emergency Department at the Cumberland Infirmary and parents/carers will be asked to meet their child there. In all other instances when the school considers the health needs of the student are best served by going home to recover, parents/carers or a designated person will be contacted. We do expect that parents/carers will comply with this request, and must point out that the school cannot be held responsible for the subsequent health of the student if this advice is not taken. In the best interests of your child we do ask that at least two emergency contact numbers are made available to the school and kept updated so that someone can be contacted swiftly and easily if necessary. If a student needs medication during the school day it should be brought to the medical unit labelled with the student’s name and form accompanied by a letter giving written instruction of the name and dosage of the medication, the frequency it is to be given and the reason the child is taking it. No medication of any sort can be given without parental permission. First Aiders will issue paracetamol provided that written parental permission has been given. Inhalers for asthma should be kept with the student at all times and they should be clearly labelled with the student’s name. It is a good idea to lodge a spare inhaler with the medical unit. If it is necessary for a student to carry any medication personally for emergency use please discuss this initially with the students’ House Office or Sixth Form Manager so than an appropriate healthcare plan can be put in place. First Aid boxes are situated in key areas within the school. 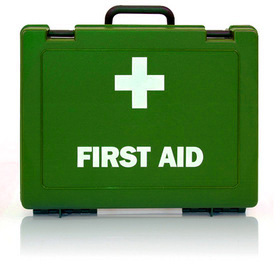 A basic first aid box always accompanies school excursions for use in emergencies. Parents/carers should ensure that teachers taking students out of school are informed in writing about any specific medical conditions, and any medication needed (other than inhalers for asthma) is given to the teacher in charge with written instructions. To protect the health of students we have a firm school rule which forbids smoking, alcoholic drinks and drugs on the school premises. The rule extends to the vicinity of the school and to occasions when students are under the jurisdiction of the school. This includes travelling to school and going home after school.Â Any pupil bringing drugs into school is likely to be excluded permanently. It is important that the school is aware of any medical condition a child has which may affect him or her in school. A medical form is issued to all parents/carers of Year 7 and Year 12 students and to any newcomers throughout the school. The information is kept confidentially within the school. It is important that the information is kept updated and parents/carers are asked to inform or discuss with the House Office or Student Manager either in writing, by telephone or in person, if there are any changes over the years, or if they have concerns about any aspects of their child’s health in school. Occasionally a student is advised by his or her doctor to use crutches around the school. For Health and Safety reasons this must be discussed with the Head of House or Student Manager before the child comes in on crutches and a form, available from Main Reception, must be signed by the parent taking responsibility for this. We liaise with the School Health Service via Central Clinic. Year 8 girls will be offered the HPV immunisation to protect against cervical cancer. Diphtheria/Tetanus/Polio immunisations are offered to Year 10 students. The school doctor is available for medical interviews as and when required throughout a student’s school career. Follow-up hearing and height and weight checks are continued from Junior school where necessary.